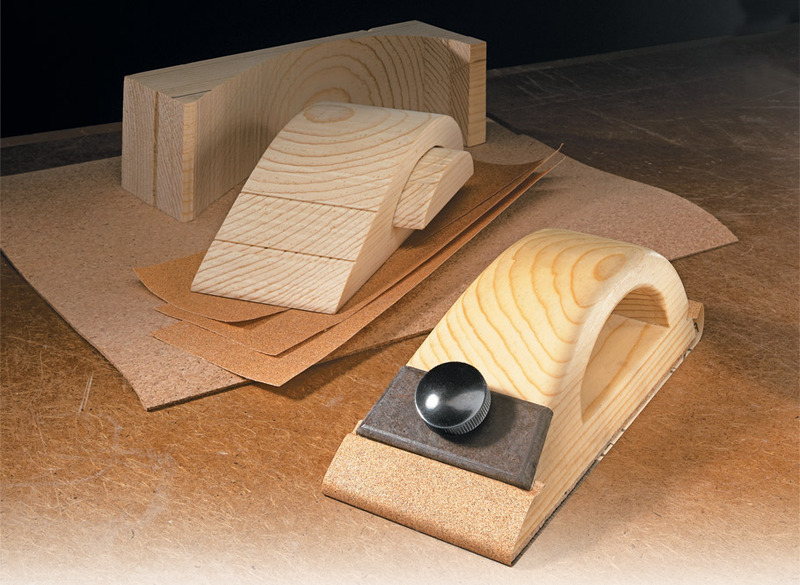 One of the most basic tools every shop needs is a simple sanding block. 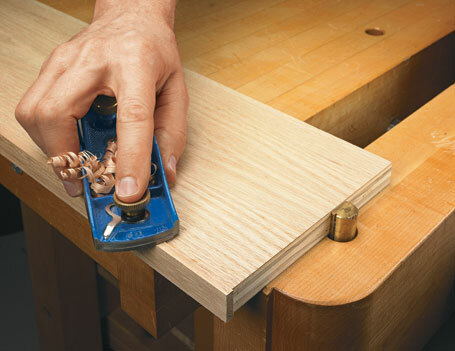 This sanding block provides a good secure grip and still fits comfortably in your hand. Plus, the size and shape provide good visibility of the surface being sanded and allows you to get into even the tightest corners with ease. It’s made from pine so it’s lightweight. 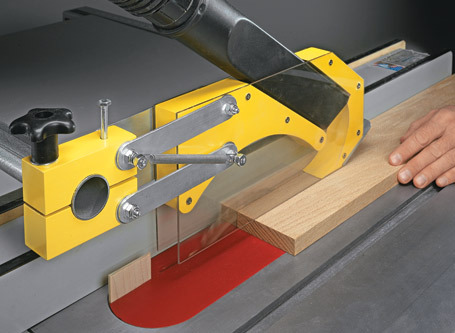 This means less fatigue during long periods of sanding. 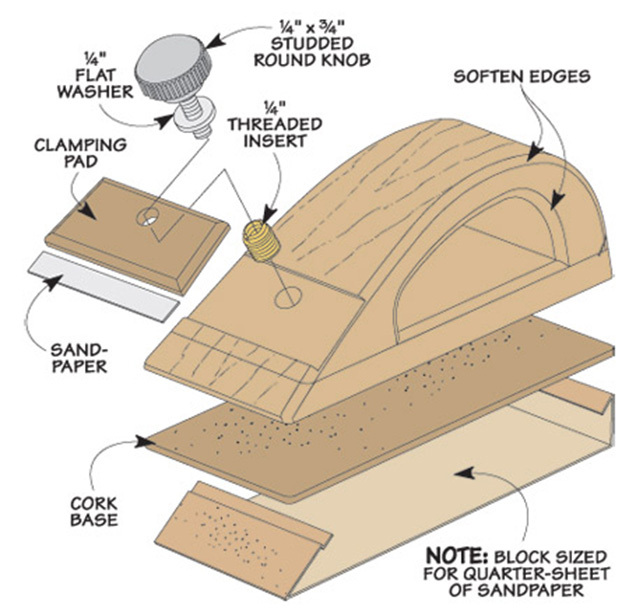 And finally, the block lets you use either standard or self-adhesive sandpaper. 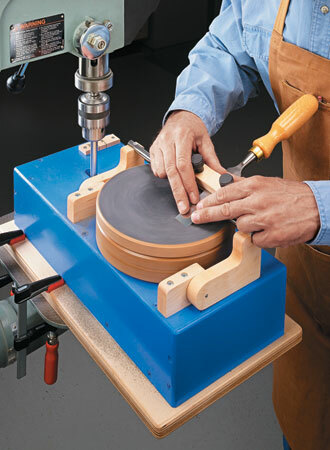 Powered by a drill press, this sandpaper sharpening system guarantees a keen edge on your tools.